Yes I am writing you all a day early! I am off for a little play day tomorrow, so I thought I better write today. It's been busy, busy here. 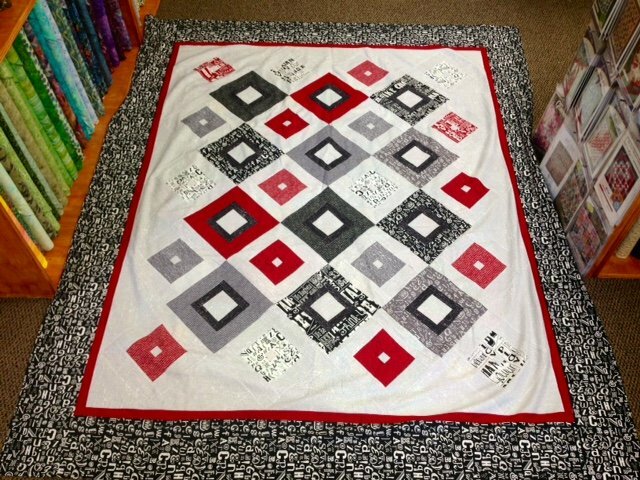 Lots of NEW patterns and quilt samples to hang up. I've been working on getting the class samples done for October and November so I can share those with you. Watch for them next week!! Do you love embroidery? 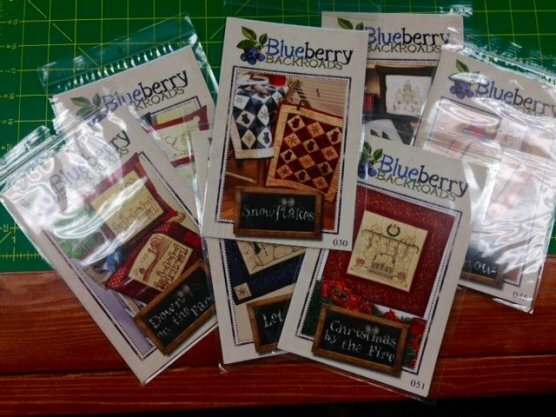 Check out these NEW patterns in by Blueberry Backroads. 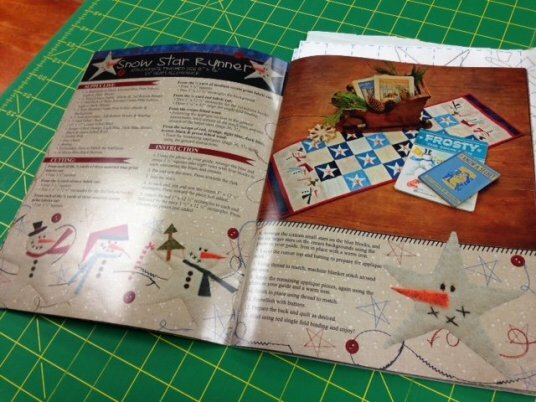 I am loving the Down on the Farm & Snowflakes ones...I may just have to start a NEW little project! 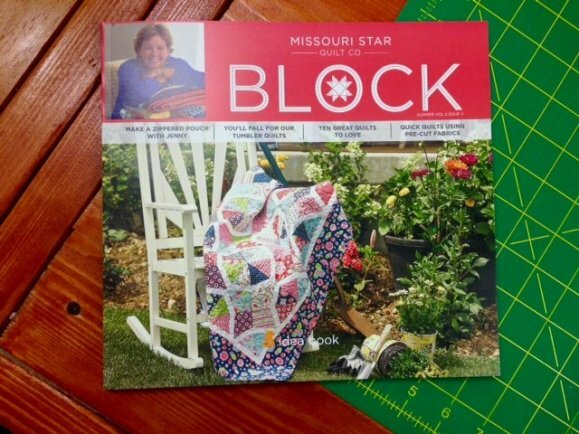 Hot off the press - the newest issue of BLOCK from Missouri Star Quilt Co. This fun magazine is packed full of fun! 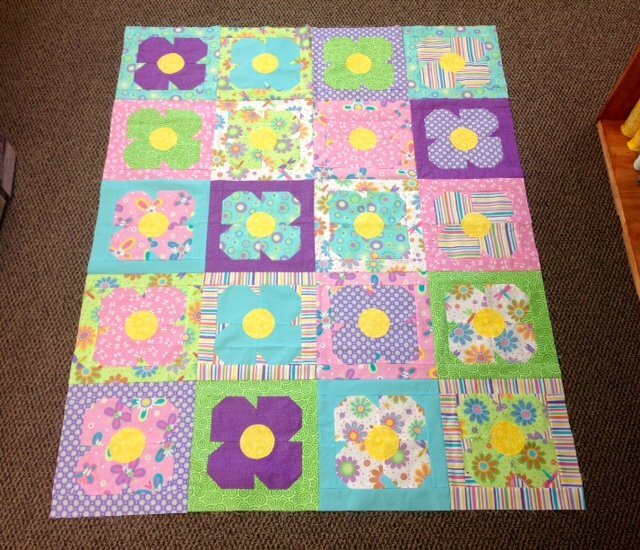 With ten great quilts to love - make any of these quick quilts using pre-cut fabrics. Check it out next time you are in! Sophie by Cluck Cluck Sew featuring Hi De Ho fabric. So darling and girlie! Up Square Down Square from Cozy Quilt Designs. This Pixie Party kit is pre-cut for you! That means all the quilt top fabric is pre-cut - all you have to do is sew! Check out this one and Cosmic Stars! Simple, easy & fun! Just a friendly reminder to pick up your Block of the Months as you are ready. We will be kicking off some NEW Block of the Month programs later this Fall! Have a wonderful weekend and enjoy the cooler weather!